Madera Stir-Stick Organizer - Cal-Mil Plastic Products Inc. 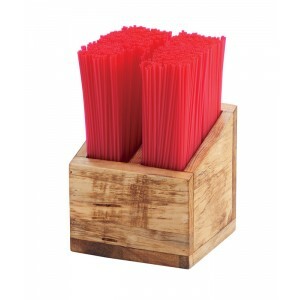 The sleek Madera Stir-Stick Organizer offers a way to organize straws in a way that can avoid the clutter and entanglement so many holders provide. Perfect to use at Bars, Coffee Shops or Stations, or Restaurants!